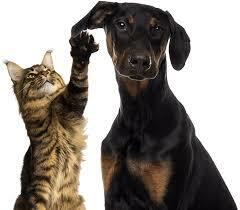 Green Mountain Animal is an industry leader contract manufacturer of gel supplements for pets and companion animals. With 25 years combined experience in the animal product industry, we are a full-service company: custom formulation, manufacturing, packaging & distribution, and marketing. Green Mountain Animal only uses the highest quality ingredients and raw materials, producing excellent products that are healthy and tasty. Our ingredients are tested for identity, purity and potency and sources from only the most reliable companies. We have implemented some of the toughest quality control measures and current good manufacturing practices in the industry, and we stand behind our products with a quality guarantee. The Green Mountain Animal research and development team uses innovative formulation and research-based methods to create products that meet client’s specifications and industry standards. Our lab is able to produce small-scale test batches so clients can sample gels before large-scale production. Our quality standards are defined by stability, safety, shelf life and palatability. Our research and development team is led by Chelsea Tomat, an animal lover with 15 years experience in the animal health industry and 10 years experience as an expert formulator. She’s successfully developed and brought to market over 200 products, many of which are now leaders in the pet health industry. Not only do we provide clients custom formulation options, we also assist with packaging, distribution, marketing and graphics. 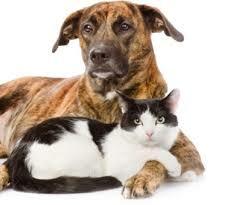 We have 25 years of combined experience in the pet industry—we know our clients and we know the market! Quality branding is just as important as a quality product and we can help with both. Our creative team can assist with graphics, packaging and website content. Green Mountain Animal, LLC has one mission: Partner with companion animal companies to advance growth of their animal health products and pet treats. We have 25 years experience in the companion animal industry, forming alliances with animal health organizations worldwide. We advocate to raise industry standards in the production of animal health products and treats globally, and that’s why we hold our products to the highest standards. Our CEO and founder Dale Metz is a life-long animal advocate with the resume to prove it. He is a founding member of the National Animal Supplement Council (NASC) and has served on its board for over 15 years. He believes that the key to pushing forward the animal health industry is compliance and his personal mission is to help companies with good products meet the industry’s compliance standards.